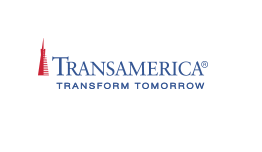 The companies of Transamerica Life Insurance offer a wide array of innovative financial services and products with a common purpose. Regardless of the distribution method, the company’s mission is to help individuals, families, and businesses build, protect, and preserve their hard-earned assets. With more than a century of experience, Transamerica has built its reputation on solid management, sound decisions, and consumer confidence. The Transamerica companies are members of the AEGON Group, a multinational insurance organization headquartered in The Hague, The Netherlands. AEGON is one of the world’s leading life insurance and financial services organizations. Consistently high ratings are a direct reflection of the care with which the company manages its business. Transamerica’s life insurance subsidiaries have received high ratings from the industry’s most respected independent rating services.